In ‘Let’s Shut Up & Dance,’ the pop singer collaborates with Asian K-Pop acts Lay Zhang and NCT 127 in a trans-Pacific partnership he thinks ought to be increasingly common in the musical future. Derulo, who has launched a number of Top 10 pop hits like ‘Whatcha Say’ and ‘Talk Dirty’ since emerging on the music scene in 2009, is looking to take inspiration from both past and future. Derulo has collaborated with everyone from pop hitmakers like Jennifer Lopez, Nicki Minaj and David Guetta to Colombian superstar Maluma and country music king Luke Bryan. The 29-year-old would seem to be too old to be a fan of the bubblegum musical style that has had Asian youth captivated for years and made serious inroads among American teens, especially with the success of the boy band BTS, who released two No 1 albums in the US last year and won honours at the Billboard Music Awards and American Music Awards. 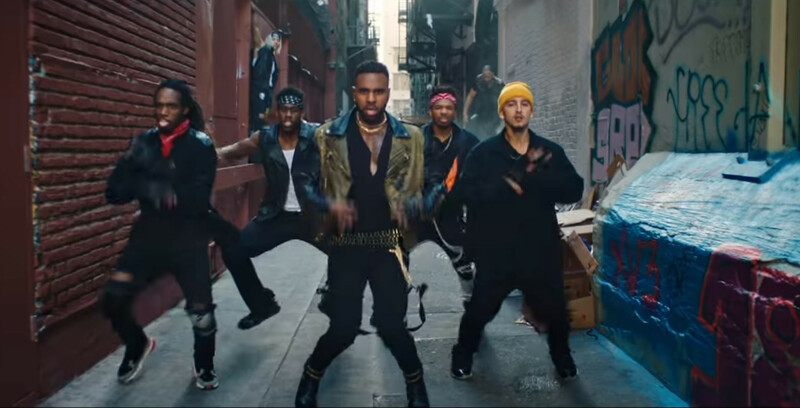 For ‘Let’s Shut Up & Dance,’ which has been viewed more than 18 million times on YouTube, Derulo takes the artists’ styles from rainbow-hued to black, sexes up their usual youthful innocence and puts them in nighttime street scenes. But makes full use of their antic, athletic and synchronised dance moves. The video has echoes of Jackson’s work, and ‘The Greatest Dancer’ EP where the song appears is set to drop on June 25, the 10th anniversary of the King of Pop’s death. The timing has also meant it comes when Jackson’s legacy is being questioned on the heels of ‘Leaving Neverland,’ the HBO documentary on two men who accuse Jackson of molesting them as children, allegations the Jackson family and estate have denied and denounced. “This has nothing to do with anyone’s personal life,” said Derulo, who had not seen ‘Leaving Neverland’ when he spoke to the AP. The Jackson influence in ‘Let’s Shut Up & Dance’ is not overtly expressed. There is no imagery of him, no sparkling glove or moonwalk. Derulo is also keeping busy with his role in ‘Cats,’ the movie version of the musical that dominated Broadway in the 1970s and 80s. Taylor Swift, Ian McKellen and Jennifer Hudson play felines alongside Derulo in the film, to be released in the US on December 20. Derulo said the way ‘Cats’ uses motion-capture and other technology will be like nothing viewers have seen before.